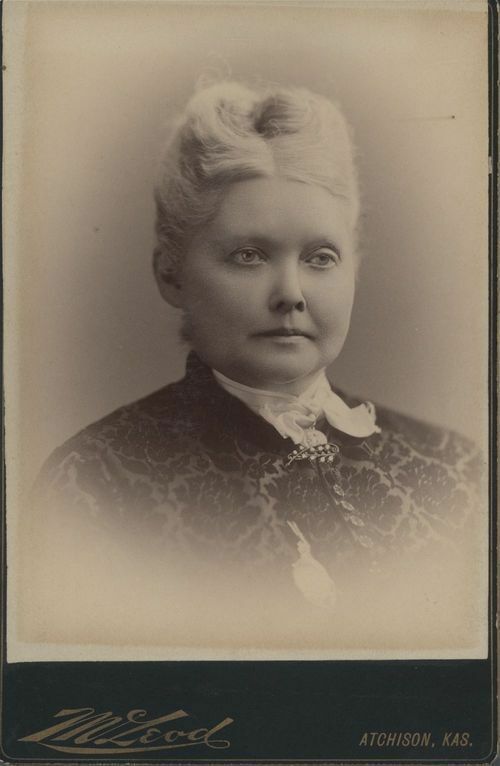 A portrait of Martha Cory Morrow, wife of Robert Morrow. The Morrows came to Lawrence, Kansas in 1855 and started a hotel business. Robert Morrow was a member of the Territorial Legislature of 1859. He also served on the Lawrence City Council and as treasurer of Douglas County. On August 21, 1863, their hotel was burned in Quantrill's raid.